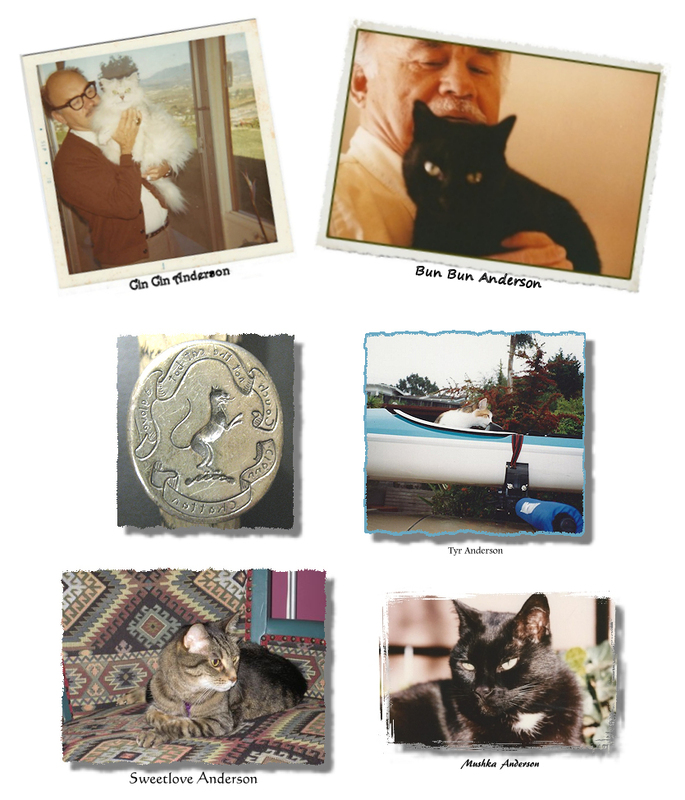 Professor Anderson loved fur persons and the other creatures who share our beautiful world. His totem was the Snow Leopard and I'll never forget the time he was talking about the big cat in class. There was a deliberative pause... and then he suddenly shot out his right arm and hit the lectern hard with his big paw, while at the same moment uttering a great snarl... every one of us jumped! 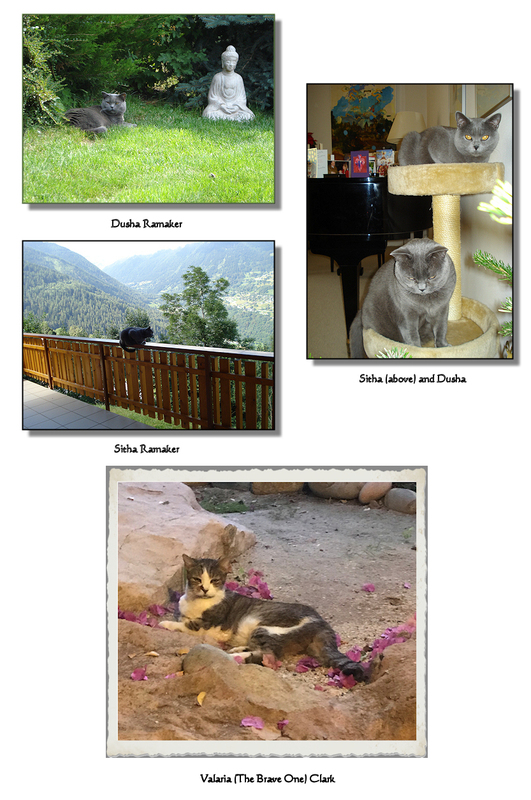 Here are some photos of some of the cats who took care of him, and also those who have watched over his students. 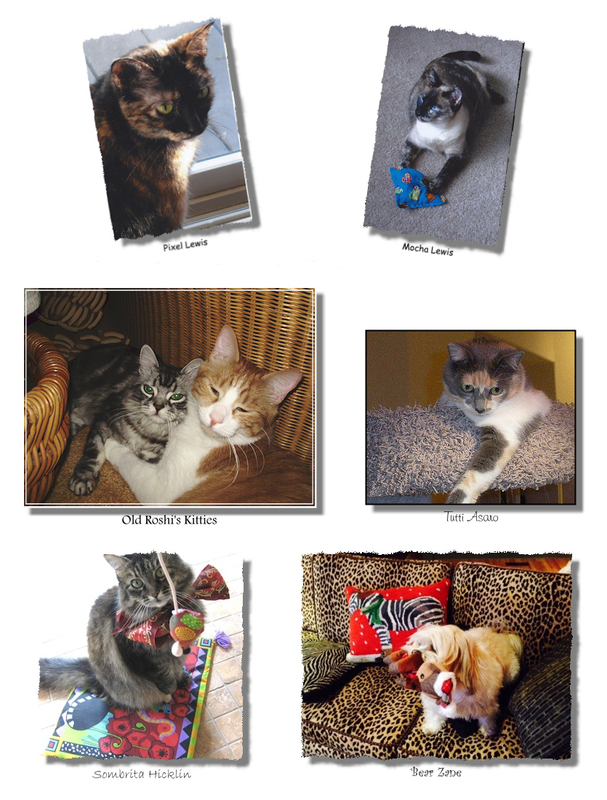 You are welcome to submit photos of your beloved pets with a line or two of text for this page.